He is the man China’s leaders look to for an understanding of the markets and the global economy…. 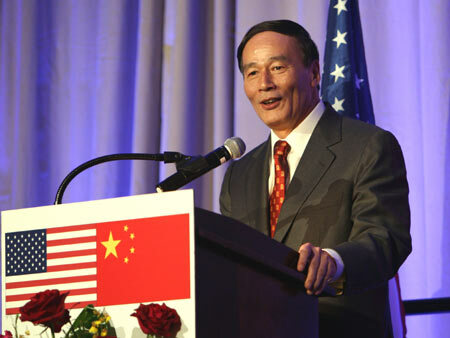 He is a Chinese patriot, but he understands the U.S. and knows that each of our two countries benefits from the other’s economic success. And he is bold — he takes on challenges, does things that have never been done before and succeeds. Wang managed the largest bankruptcy restructuring in China’s history in 1998 and thereby prevented a banking crisis that could have crippled the country’s growth. The Chinese public regard Wang as a leader who is capable and trustworthy during times of emergency or crisis. Based on his previous leadership experiences and policy initiatives, Wang will most likely promote the development of foreign investment and trade, the liberalization of China’s financial system, and tax-revenue reforms, which are crucial for central-local economic relations. Due to his strong ties with major state-owned enterprises, it is unclear whether he will favor state monopoly or promote the private sector. Previous PostFirst Past the Post: November 13Next PostThe role of women in the CCP: just so much ‘beautiful scenery’?